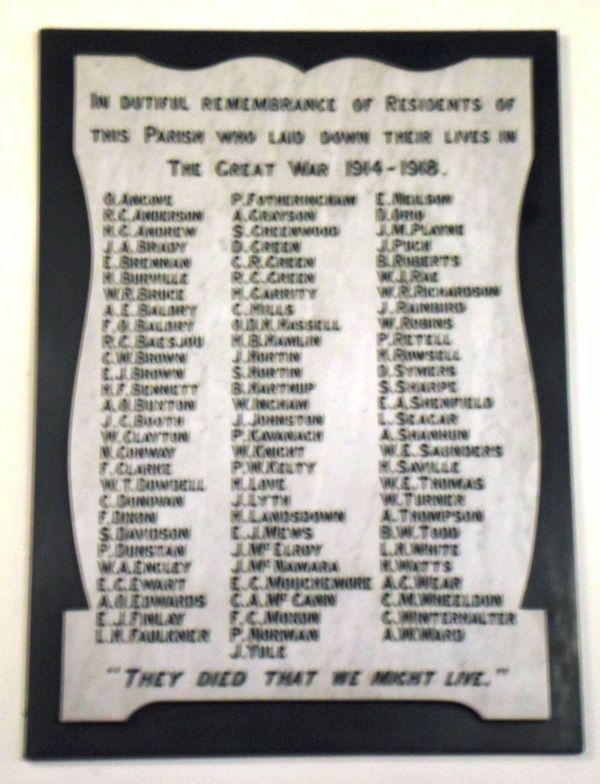 A marble honour roll commemorates members of the Parish who died in service or were killed in action in World War One. In dutiful remembrance of residents of this Parish who laid down their lives in the Great War 1914 - 1918. "They died that we might live."